Were people tougher 150 years ago? 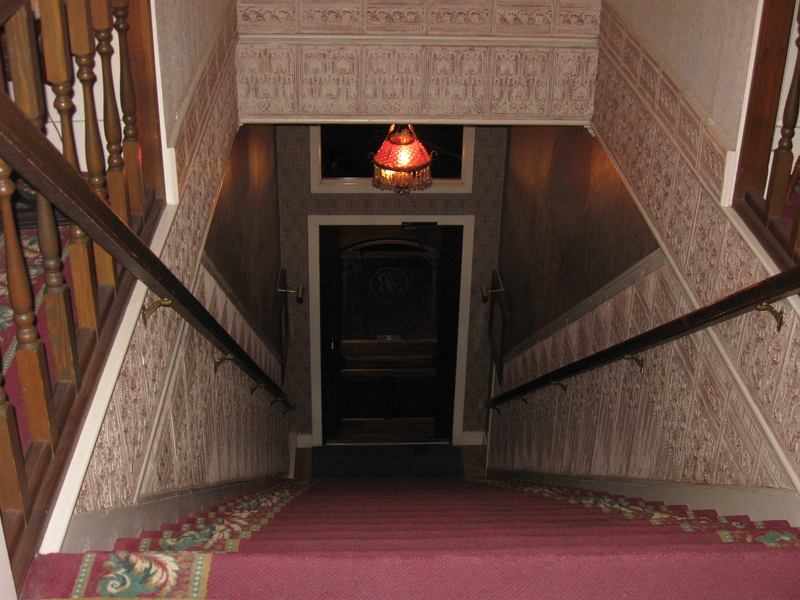 I’m contemplating the flight of stairs up to the second floor in the Bishop Victorian Hotel in Port Townsend, Washington, and I’m thinking of those heavy trunks they traveled with. 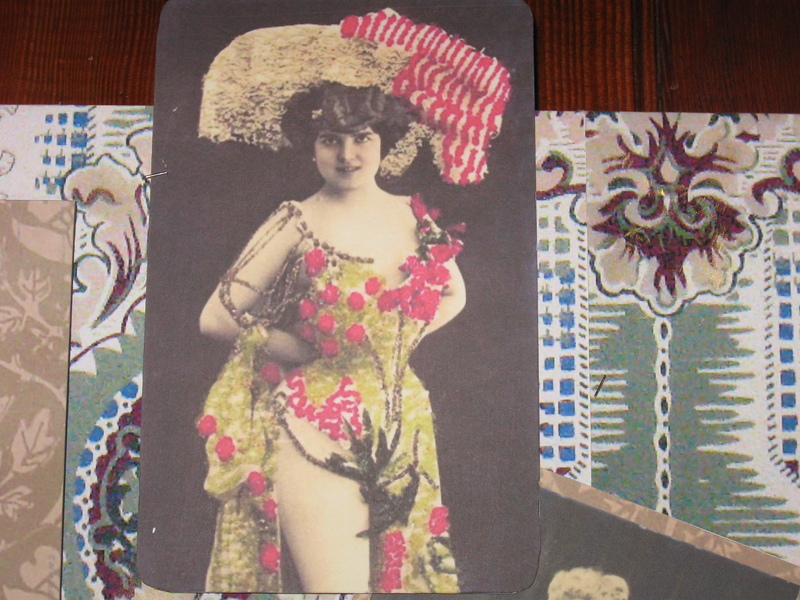 Plus, for the ladies, long skirts and big hats to get in the way. My little weekender, with wheels, would be nothing to them. I trot on up and consider it good exercise. And at the top I get a lovely suite with antique furnishings, a comfy bed, a modern bathroom, and even a mini-kitchen. 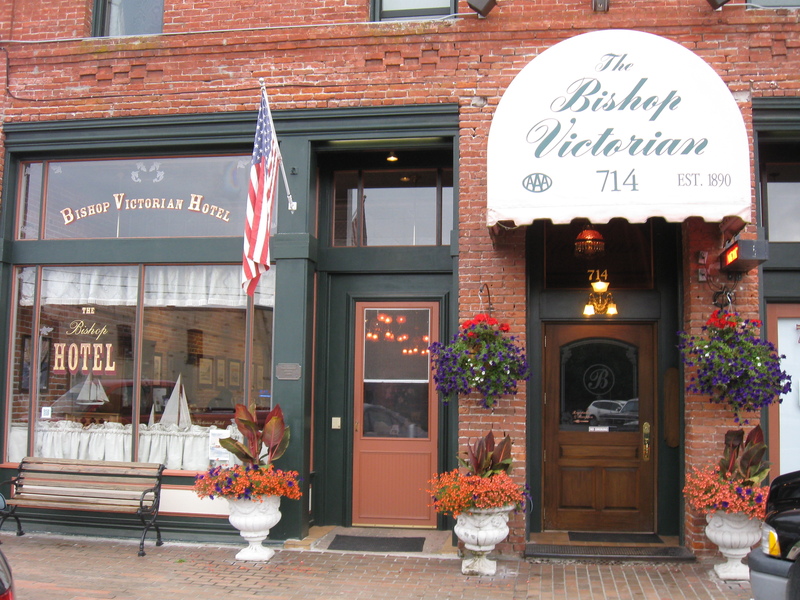 This brick, late-1800s hotel is a piece of history with free wi-fi in the lobby. 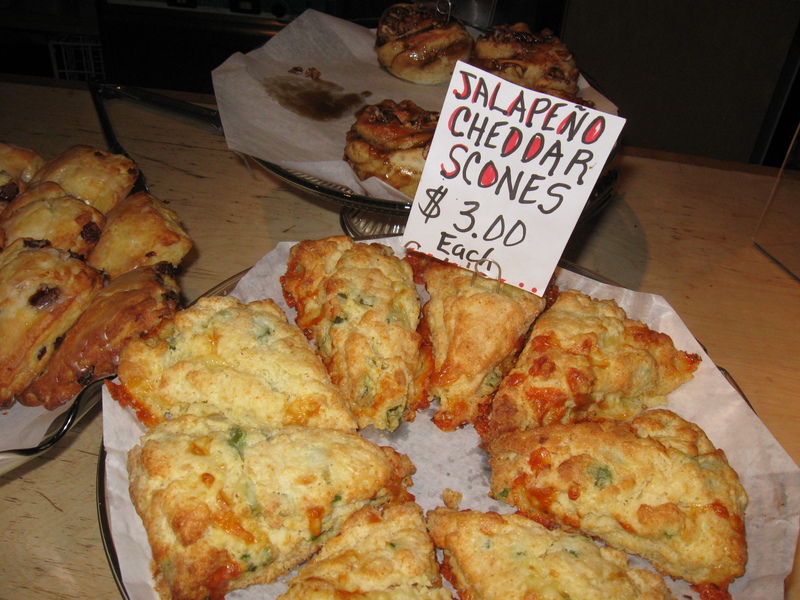 I could have breakfast brought to my room but opt for the Undertown Cafe, known for its excellent coffee and pastries. It’s in the warren of tunnels that were once, so they say, used to shanghai unknowing (or drunk) sailors. Just one of Port Townsend’s many intriguing details. Port T., on Puget Sound, is 50 miles and a ferry ride from Seattle. It’s studded with Victorian mansions, built in the 19th century when boom times were expected. History had other plans, however, and the little town slumbered for a long time. Now those homes, restored to their gingerbread-encrusted finery, are tourist attractions and many are B&Bs. One, Manresa Castle, is a hotel and restaurant. Traditional architecture is so valued here that downtown is a National Historic Landmark and the whole place is designated a National Victorian Seaport, one of only three in the country. Guides in period costumes give tours. But I’m finding more than history. I browse through art galleries and shops on Water Street, watch boats and ferries come and go, tour the new Northwest Maritime Center. 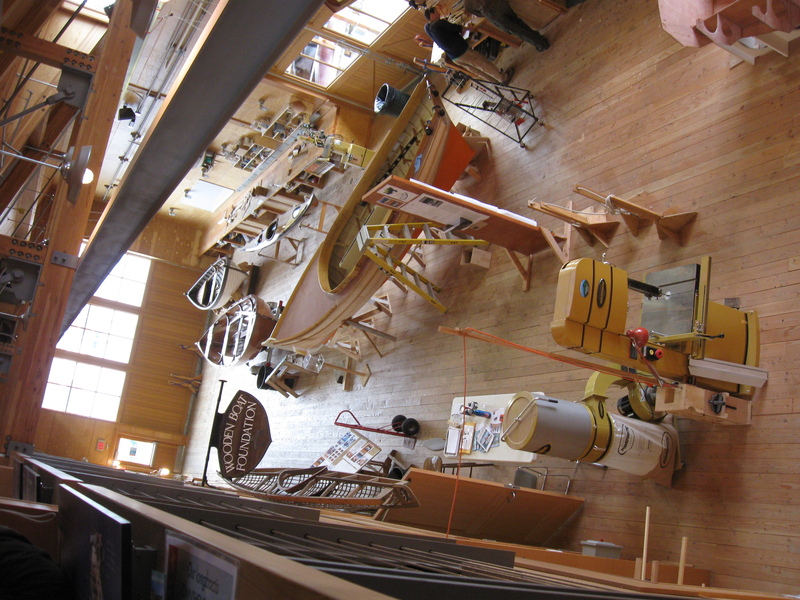 The Center has a chandlery (in case you’ve forgotten your maritime lingo, that’s a store selling nautical gear), coffee shop, meeting rooms, and a huge space for making and restoring wooden boats. I don’t know much about boating, but I can definitely appreciate the craftsmanship involved. Boat shows, regattas, a Wooden Boat Festival, and lots of water recreation are big draws in this waterfront town, where maritime trades are right behind tourism in economic importance. Of course every menu offers serves seafood, and I find splendid choices at T’s restaurant on the edge of town near the water. The smoked salmon soup and sea scallops are fabulous. Another thing I like is the small-town atmosphere. Where else am I going to find a Kinetic Sculpture Race, a Blues & Jazz Festival, homemade ice cream reputed to be the best in the U.S., a Fiddle Music Festival, and a museum that treasures a jail where Jack London once spent a night? The old-time jail is in the Jefferson County Museum, another historic building. It’s filled with artifacts that are both fascinating and well displayed. I’m already planning a return trip. That top-quality ice cream, by the way, is sold at Elevated Ice Cream, on Water Street. The odd name comes from the shop’s start in 1977, in a courtyard Victorian elevator cage. On that return trip I’ll taste Brandied Apricot, one of 30 flavors. Also Amaretto Hazelnut, and maybe Swiss Orange Chocolate Chip, and . . . well, others. I never get bored with cable cars, Chinatown, Golden Gate Park, and the buzz around Union Square. And of course great restaurants. But there’s a lot more to see and do in the City by the Bay. I make new discoveries every time. 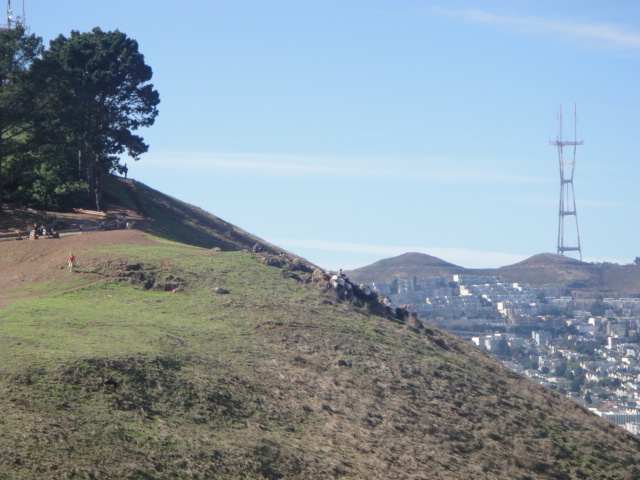 Bernal Heights, for example, not exactly unknown, but south of Mission and seldom visited by tourists. 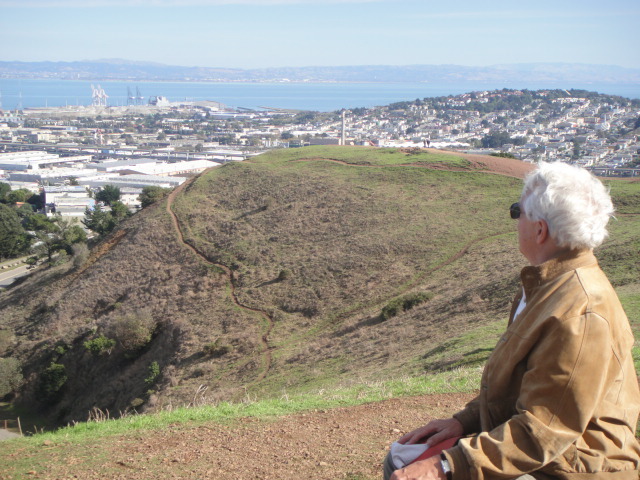 A steep climb takes you up the hill to a park with a million-dollar view. You’re overlooking all of San Francisco, the bridges and bays, Marin County, and East Bay. Fabulous. The park has scrubby grass, a few trees, and paths winding around the hillside. Also lots of dogs, because it’s an off-leash area. 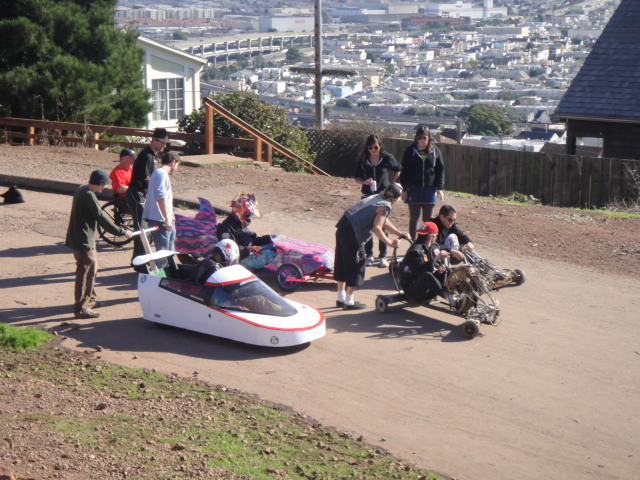 The “Illegal Soapbox Derby” takes place here in the fall, when riders in makeshift vehicles race wildly down the hill. The Bernal Heights neighborhood is fun to wander, with its cafes, quiet streets, small houses, and gardens. Trendy shops, too, and quite a few artists. It was considered dangerous and crime-ridden in the 1980s, but that’s past and it’s cleaned up now. And that view alone makes it worth the drive or bus ride. Peter sets the mood before the show by having everyone gather in the Sultan’s Oasis for drinks. 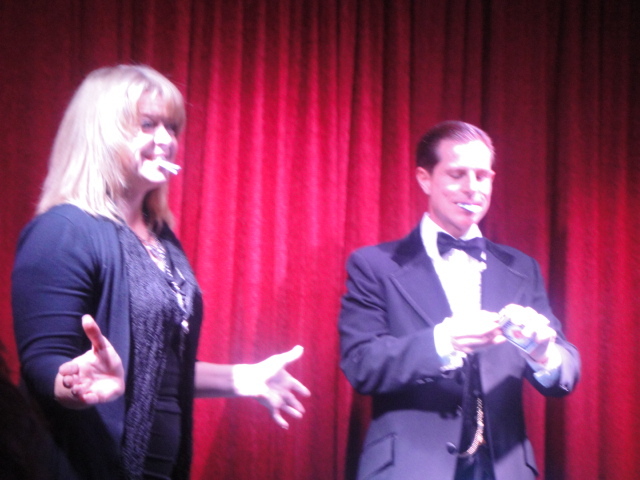 He does card and coin tricks at each table. Then he ushers us into the theater and seats us according to height and whatever agenda he has in mind. 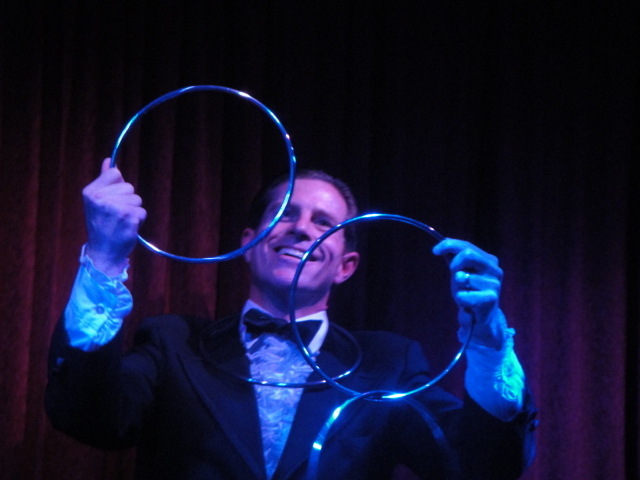 He’s a master at this, having done more than 3000 performances at various places, including the famous Magic Castle in Hollywood, during the past 15 years. Now it’s a San Francisco treat. I’ll be back and watch his dexterous hands more closely next time. Or not. Maybe I’d rather just be dazzled.